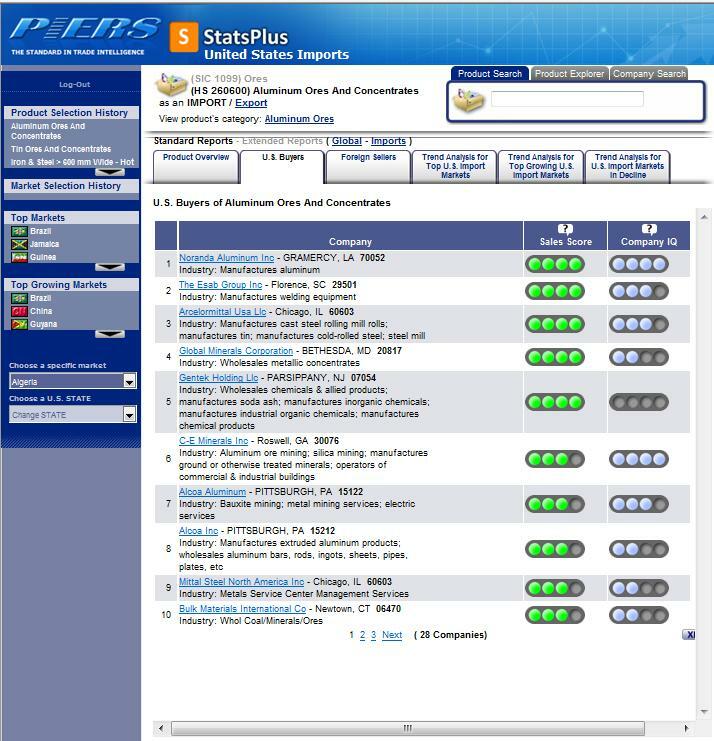 In contrast to many TI providers that offer a “one size fits all” user interface, PIERS offers many products for varying business applications that incorporate U.S. Customs data. In this article, I will focus on three (of seven) related products: Piers TI, IPiers & MyPiers- all of which use the same platform but are differentiated by a handful of features and corresponding price. Back in the day, PIERS largely distributed the (somewhat) normalized Customs data via stacks of monthly CDs sent to their several thousand clients. They were a hassle to use and easily pirated with a clumsy Excel like interface. IPIERS became their first online solution. It is the medium priced option of the three. With IPiers, you get access to fully normalized U.S. Customs data – both import and export – for the last three years. If required, you can fetch data as far back as 1979. They can set you up to only see certain product lines (based upon Harmonized Code) or the whole tamale. You can pay for unlimited access or just pay per record downloaded. The UI is efficiently designed and comfortably maneuverable. There are standard reports or you can design and save your own. You can schedule your reports to run and be distributed at will. Export options include Excel, DBF, PDF and DOC. Overall, it is a fetching TI interface. Piers TI was the second online offering and a level below IPiers. Piers TI provides access (through the same UI) to RAW (not standardized) U.S. Customs data. Even though the consignee and shipper names haven’t been standardized as in IPiers, users still get the benefit of commodity code attribution along with estimated shipment value and TEU count. Piers TI is available in export only, import only or import & export versions and provides for searching and reporting on the last five years of data. Reporting functions allow for roll-up of results, graphic displays and download of 10,000 records at a time. When comparing products (and pricing) with other competing TI providers’ offerings, Piers TI (import only) is really the best apples-to-apples UI to evaluate. MyPiers is a fully customized version of IPiers, designed around the products, preferences, and applications of an individual client. 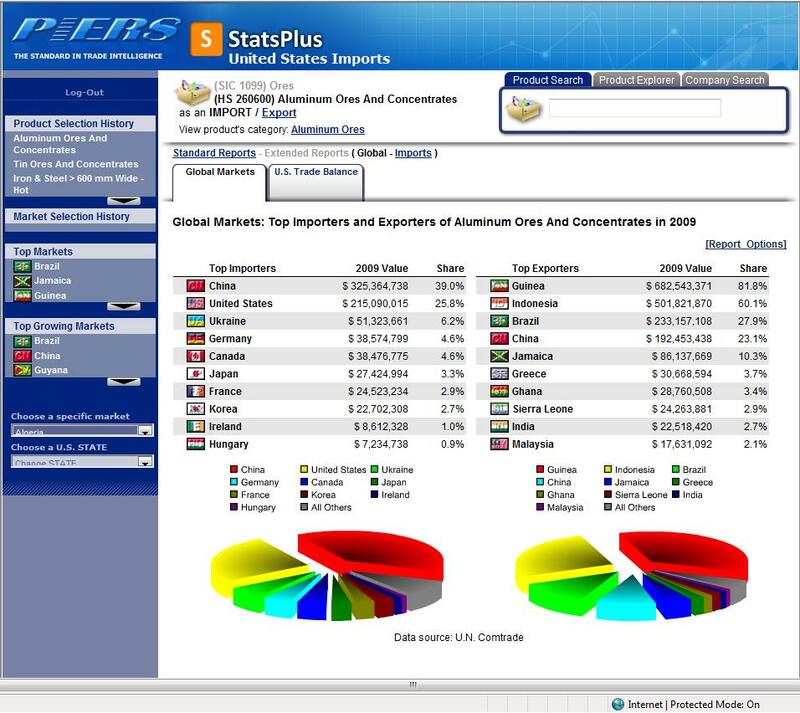 PIERS programmers construct individualized data groupings and reports around specific customer requirements such as designated sales territories, certain commodities and supply chain movements. Obviously, this option is best suited for higher end commercial and maritime clients. Soon to be released “Dashboards”, a further add-on (up-sell) to MyPiers, will offer advanced graphic-oriented, executive-level interactivity while maintaining drill down capability into the granular level detail as well. Ultimately, individualized consultation, design, and application development utilizing U.S. Customs data is the most expensive and powerful aspect of trade intelligence: People IQ. The singular element of Trade Intelligence that is not easy to commoditize. Up next, a look at PIERS newest family of products.